2 Bedroom Upper Floor Flat For Sale in Glasgow for Offers Over £110,000. 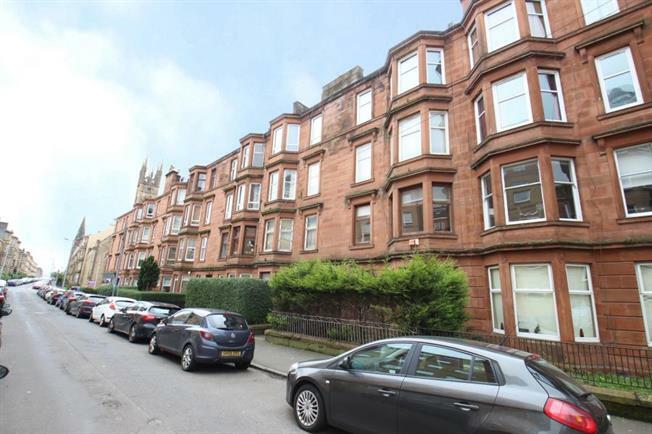 Slater Hogg & Howison are delighted to bring to the market this well presented red sandstone first floor flat occupying this ever popular position within Dennistoun. The accommodation, which is set all on the one level and can be accessed via communal close, comprises bright and spacious entrance hall, bay windowed lounge, fitted kitchen, 2 double bedrooms, modern bathroom with a three piece suite and shower over bath. The property further benefits from gas central heating, single glazing and security entry. Externally, the property has communal gardens to the rear. The property offers good accommodation and would be an ideal purchase for a young couple, first time buyer or buy to let investor. This is an excellent flat in a desirable setting and should not be missed. There is schooling both at Primary and Secondary levels within the area. Local amenities include swimming pool, gymnasium, recreational park, nine hole golf course, library and much more. Shopping can be found at Asda superstore at The Forge, Parkhead. Public transport includes both bus and rail links to the city centre and surrounding areas which has a host of bars, restaurants, cinemas, theatres, universities and hospitals.